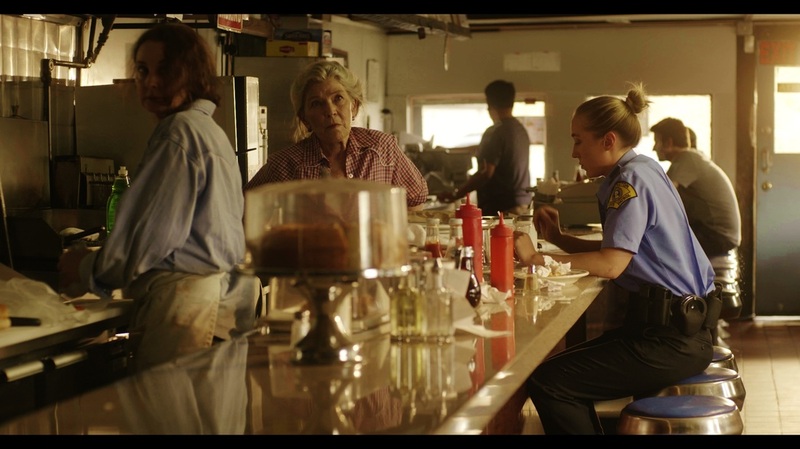 Scattered among the many narrative features and documentaries screened at a film festival is the short; that specialized, creative area of movie-making where a story is usually told within a ten to fifteen minute time frame; sometimes even less. 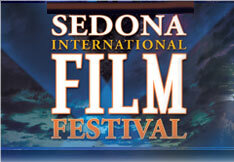 One such short currently showing at the 21st Sedona International Film Festival is February, a fourteen minute narrative telling the story of a boy who walks into a school with a rifle, enters the class room and fires, killing a student. The film was written and directed by Jessi Shutleworth, who also stars in February in addition to co-producing the project with her sister, Ciara. Both sisters are currently in Sedona to promote and talk about the making of the film, which they did with a brief Q&A after a late-evening showing on Wednesday. Yesterday morning, once the sisters had returned from an early morning trip to see the Grand Canyon – they actually left Sedona at four in the morning and returned by ten – I had the chance to talk to both about the making of their film and what the future holds for the short. I began by asking about the inspiration for the subject. Jessi: February springs from an experience my brother had. It was in 1996, in our home town of Moses Lake, Washington, where one of the first middle school shootings happened, and our brother, who was thirteen at the time, was in the adjacent classroom, and when the shots rang out he was the only student self-possessed enough in the horror of that moment to help the teacher barricade the doors shut. Even though eighteen years have passed, our brother, like everyone who was there, is very much impacted by what he saw and heard that day. As horrific as the actual event was, I think in many ways the silence that followed was also horrendous. In writing February I really wanted to explore the lives of those who were left behind in the wreckage and how that single fracture of time forever impacted their lives. Was there more to the script than we see in the film? Jessi: You know, this particular script was always short but I have a feature length of February – it’s already written – so obviously, you know, when you see the short you’re just getting a glimpse of these characters, but in the feature they’re so much bigger. 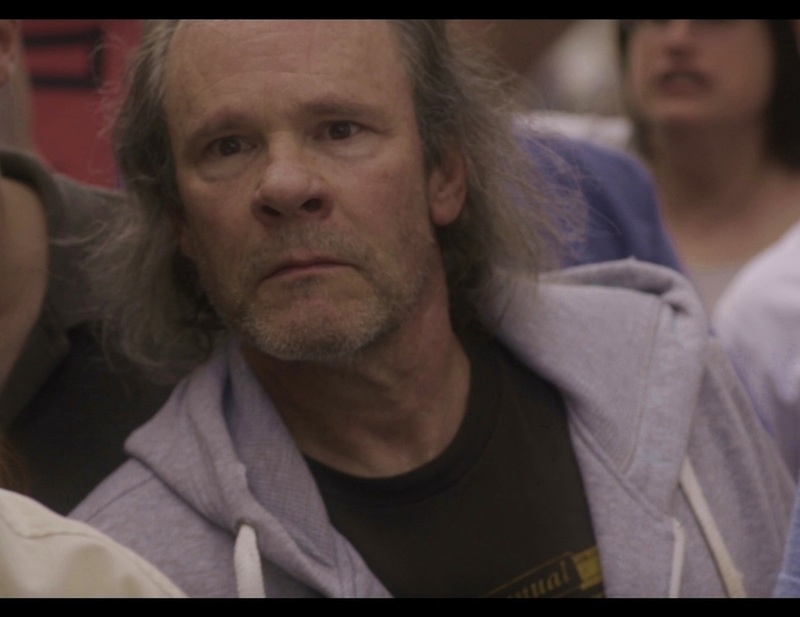 The Ethan Phillips character has a much bigger role in the feature and that whole backstory of the father, what was lost, and that relationship, as well as Sam and Police Chief Pierce and their connection. Was the film ever longer than fourteen minutes? 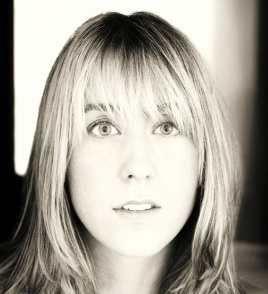 Jessi: I think from the very beginning we were kind of shooting for that sweet spot, you know, the thirteen or fourteen minute short for the festival format, but I wrote this script exactly as I wanted it. I really didn’t compromise on anything and whether that’s to my detriment or not (laughs). I guess… no, we really didn’t edit anything out. If anything I wish there was more in it. There’s so much more to the story. Ciara: Visually there’s a lot more. We had so much ‘B’ reel. Michael Swaigen, our director of photography, was phenomenal. We had so much ‘B’ reel that we spent hours upon hours, days upon days, just going through the footage. Jessi: We had several takes where we had to see whether we liked this take or that take. Did the finished film turn out as you originally conceived? Jessi: I think so. For the format that it’s in I’m very proud of what we were able to put out there. I had an amazing crew and a really wonderful cast, and it was such a treat. I get emotional about it but it was such a treat to have my words, to have my story that is so personal to the two of us, to our family, brought to life. It’s really exciting. Star Trek: Voyager fans will recognize one certain face. 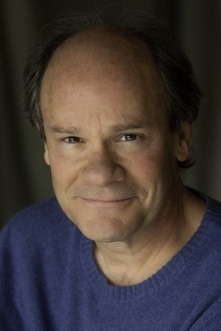 How did Ethan Phillips become involved? Jessi: Ethan, or as we call him, Johnnie Phillips, erm… I’ve known him since I was five. For Ciara, it was twelve. Our father is a playwright and writer and he met Johnnie at Sundance of 1990. Ciara: It might have even been ’89. Ciara: He’s such a riot. Jessi: When I wrote this script I was really protective of it because of the subject matter and because for so long there was a real silence that cloaked the event, not only in the town but also in our family. I don’t know if it was a sort of protection of our brother to not talk about it, but it was never spoken of. So when I wrote it, I was sort of incredibly protective of the scripts. The first person who read it was my mom, who is also an incredibly talented, bright, well spoken, well-read woman, and she read it, waited, like, an hour, and she called me back. She was just going over the script and she gets to the final character of this father in the crowd scene and she said that it’s such an important part. She said when she read it, all she could think of was Johnnie, you know, Ethan Phillips in the crowd with that face, that intensity. And she said, you have to pitch it to him. I said, no, he’s never gonna go for it. But he did, and that’s how he’s in the film. You wear several hats. You wrote, produced, directed and starred in this film. What comes first? Jessi: Hmm, that’s a tough one. I like them all differently. I would say maybe… screenwriter? Like I said before, our father is a writer. We grew up in a house where storytelling was literally a genetic predisposition, we couldn’t help ourselves. Ciara: We had no television. Jessi: Dead of winter, sitting around the stove, listening to my siblings try to out-storytell each other, so that was really the seedling of my writing, and at this point it’s become – what does Sam Shephard say? – it’s a disease of my personality; it’s a compulsion; I can’t help myself. Ciara: Also, it’s true. All four of us, all four Shuttleworth kids, we write. Our brother is a published poet, I write poetry as well, and our older sister, she’s a lawyer and she does more of the technical writing, but she actually has some non-fiction writing or memoir type writing that is beautifully done and I wish she would work more on that. So it’s just something we do. When writing for a short, does the same rule of a three act script apply? Jessi: I think it’s a completely different beast. I try not to think about formats and technical stuff when I’m writing. I try to just write. But short films, I think you’re really going for a story that has the biggest impact in the shortest amount of time. February certainly does that. But I think it definitely varies from feature work and it varies from how I approach the two formats, for sure. Feature films are beastly. Jessi: It’s being work-shopped right now. I’m approaching actors that I want onboard, approaching executive producers – we’re still looking for more executive producers if there’s anyone out there – and locations; we want it filmed entirely in Washington State. We grew up on writers like Cormac McCarthy, Arthur Miller and Robert D Kaplan, Jim Harrison and Sam Shephard, and to me what all of those writers seem to have in common is that sense of place, that environment. It’s really important. It’s an additional character, and in February the place was very important to me. That’s gonna be a key part of the feature, filming in Washington state. And the future of the short? Jessi: Right now we’re submitted in over a hundred film festivals all across the country. So, fingers crossed, we’re hoping on some New York acceptances in the spring and maybe a couple of Academy Award qualifiers, that would be fun. 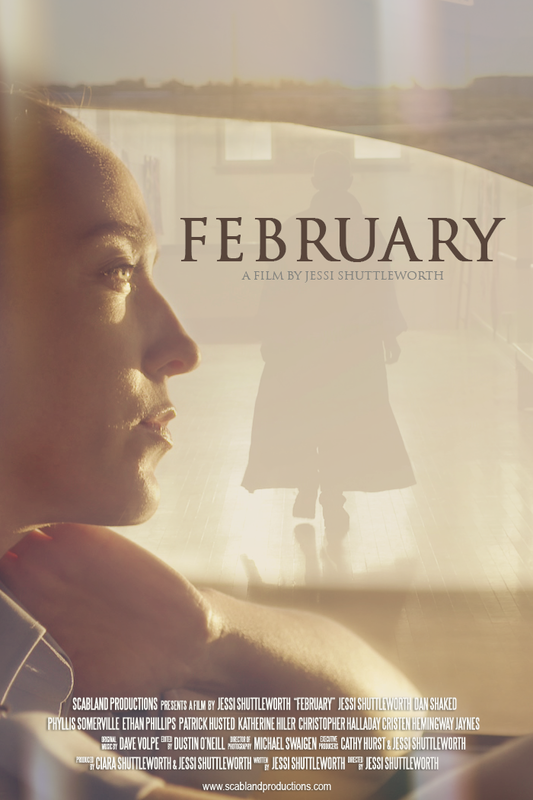 February can be seen at a repeat performance this afternoon (Friday) at noon as part of the Shorts Program 1.